Israel Aerospace Industries (IAI) announced it has been awarded contracts in India totaling almost $2.0 billion. In a mega-contract worth over $1.6 billion, considered to be the largest defense contract in Israel’s Defense Industries’ history, IAI will provide an advanced MRSAM air & missile defense systems to the Indian Army. The company will also supply additional LRSAM air & missile defense systems for the first build in India Indian aircraft carrier. MRSAM is an advanced ground breaking air and missile defense system that provides the ultimate protection against a variety of aerial threats. In its existing version, MRSAM is operational with the Indian Air Force, Indian Navy and Israel Defense Forces. The system includes an advanced phased-array radar, command and control, mobile launchers and missiles with advanced RF seekers. MRSAM was developed jointly for the Indian Army by IAI and India’s Defense Research and Development Organization (DRDO) in collaboration with RAFAEL and IAI/Elta, and worked with various Indian companies including BEL, L&T, BDL and other private vendors. Joseph Weiss, IAI’s President and CEO, said: "Over the past 25 years, IAI has worked with the Indian defense industries and armed forces in many areas as part of our strategic partnership. The current contracts represent an enormous expression of confidence by the Government of India in IAI’s capabilities and advanced technologies which are being developed with our local partners as part of the Indian Government’s “Make in India” policy”. 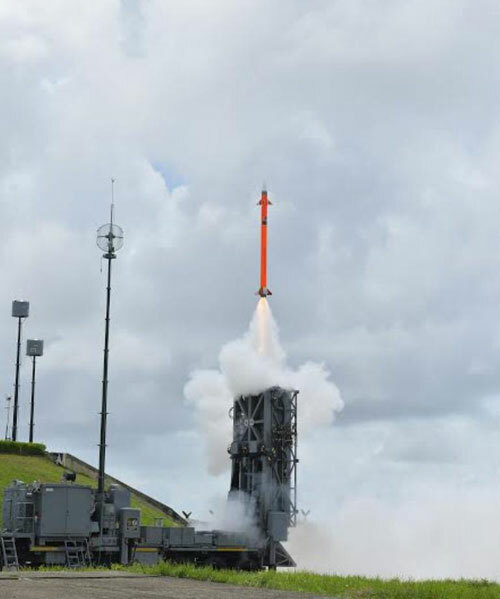 Boaz Levi, Executive Vice President and General Manager of Systems, Missiles & Space Group said: “Along with our partner in India, we will supply to the Indian Army an advanced, sophisticated and innovative system that will provide the best operational solution. This complex development, reflects technological innovation, creativity, vision and remarkable personal dedication of all those involved in the development of the system both in Israel and India”. IAI Ltd. is Israel’s largest aerospace and defense company, specializing in developing and manufacturing advanced systems for air, space, sea, land, cyber and homeland security. Since 1953, the company has provided advanced technology solutions to government and commercial customers worldwide including: satellites, missiles, weapon systems and munitions, unmanned and robotic systems, radars, C4ISR and more. IAI also designs and manufactures business jets and aerostructures, performs overhaul and maintenance on commercial aircraft and converts passenger aircraft to refueling and cargo configurations.